This week we’re recapping our experience at AcadeCon 2018! We recorded this on the road, in person and together, so you’ll be treated to the authentic in-car audio stylings of Amelia and Ryan, so fasten your seat belts, we’re about to get going! 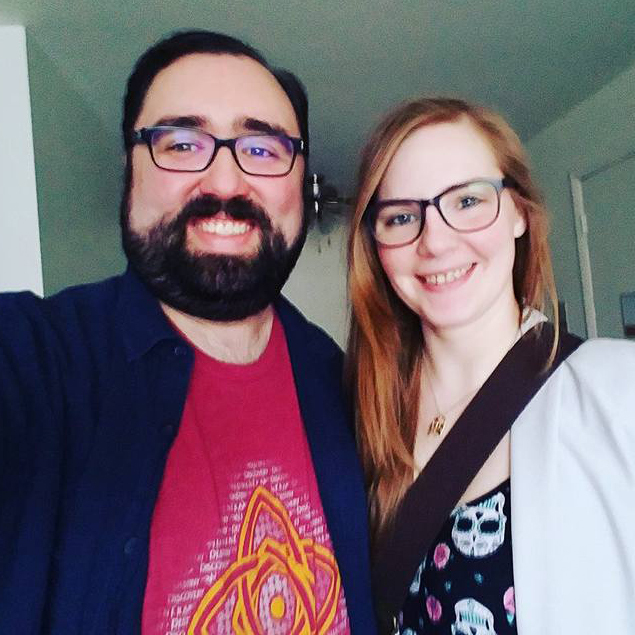 On this special bonus episode, we sit down with Brie Sheldon, creator of the Turn slice of life, supernatural RPG, to shine a quick spotlight on the game and get a rundown of what sorts of characters we can expect to create in this system. Welcome to the last episode in the 10th series! On today’s episode, we discuss the character creation process for the Lifepath game, Traveller, with Ryan from the Shadow of the Cabal podcast! Welcome to the first episode in the 10th series! On today’s episode, we talk about the Lifepath game, Traveller, with Ryan from the Shadow of the Cabal podcast! We also begin making our characters and see how their journey begins on the way to becoming playable people! On this episode of Character Evolution Cast, we expand on last week’s Session Zero episode and talk about staying safe! Amelia and Ryan are alone again on this one, and dive deep into different tools and methods that you can use to keep yourself, and others, safe at the table. Welcome to the final episode in the 9th series! On today’s episode, we sit down with Grant Howitt, co-creator for Spire, to discuss how character creation went for this amazing game!